This article first appeared in the November 1988 issue of The Electric News, Volume 11, Number 11. From a dream in the minds of a few pioneers Little Ocmulgee EMC has grown into a thriving rural electric cooperative. Retired employee F.M. 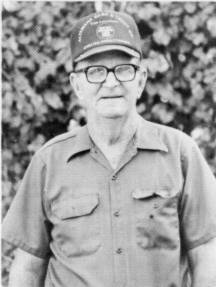 Whitehead of Alamo says he remembers well when power lines were first being built into rural Wheeler, Telfair, and Laurens counties. "The thing I remember most is seeing people's faces when we first turned on their power," he said. "Most people didn't have anything but one light in each room and it was the old pull-chain type. But they were so happy when those lights came on for the first time. I really enjoyed that part of the job," Whitehead said. Little Ocmulgee EMC was chartered on May 9, 1938, and the upcoming Annual Meeting will be the Cooperative's 50th. Few people would argue that the EMC has made considerable progress during its first 50 years. Laurens County Director J.A. Dominy remembers purchasing his first electric stove. "I already had an order in on a new wood stove," Mr. Dominy said. "But when we found out we were going to get electricity I canceled the order and bought an electric one." One of the biggest improvements during the years has been better communications. During the early days few members had telephones. "When the lights would go off we'd have to somehow get a message to the office in Alamo that our lights were out and it would take quite a while to get them back on," Mr. Dominy said. "Now we just pick up the phone and call, and since the trucks all have mobile radios the lights are only off for a few minutes," he added. Not everyone was eager to get electricity however. Retired employee Woodrow Gillis remembers one man in particular. "This man in Telfair County lived within a mile of the line but he didn't want electricity in his house," Gillis said. "He told me he was born with a kerosene lamp and he'd just as soon die with one," he added. The gentleman finally did give in and have electricity run to his house . . . 18 years later. The work was very hard during the early years. There was very little available in the way of machinery and most of the work had to be done by hand. J.T. Elton, also a retired Co-op employee, remembers that hard work very well. "When we first started clearing right-of-way for the power lines I got paid $0.25 per hour to operate a cross-cut saw and cut trees," Elton said. "Those were some long hard days but thankfully they have better equipment to use today," he added. Automated equipment is the biggest improvement over the years, according to F.M. Whitehead. "We used to do everything by hand but the new equipment like bucket trucks, line trucks, and right-of-way tractors has helped speed up construction and maintenance," Whitehead said. "Also the new protective devices on the lines have helped reduce the number of members affected by an outage. Reducing outage time is a big improvement," Whitehead said. Retired employees F.M. 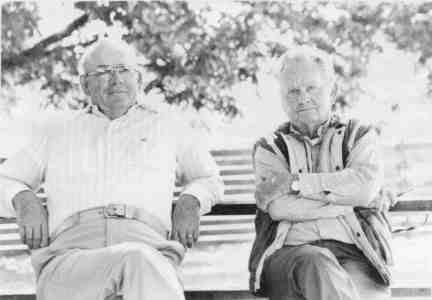 Whitehead (left) and Forrest Fields have spent many long hours building and repairing power lines. They agree that automation is the biggest improvement over the last 50 years. Little did these early pioneers realize what a tremendous impact their work would have on all rural residents. "I guess what we did was catch country people up with the people living in town," Woodrow Gillis said. "City people already had lights, refrigerators and some had washing machines. After the lines were run country people had all those things too. And the improvements in the quality of living was just unbelievable. Looking back I would have never imagined electricity would have the effect it did on rural people," Gillis said. 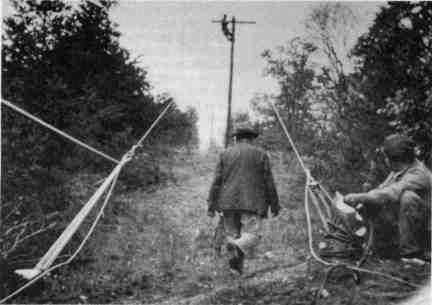 Just getting the power lines to the house wasn't enough in those days. Rural people needed help to learn how to use the new electric appliances. The Co-op helped provide that assistance. "Most people's houses were just wired for lights in those days," said Ramon Meguiar, long-time Co-op employee. "If they wanted to add an electric stove, for example, we would go in and change out the breaker box, run the wiring and install the stove all at the same time. Most of the time we had to change the transformer too," he added. Retired employee Woodrow Gillis says that electricity helped improved the quality of living for rural people. 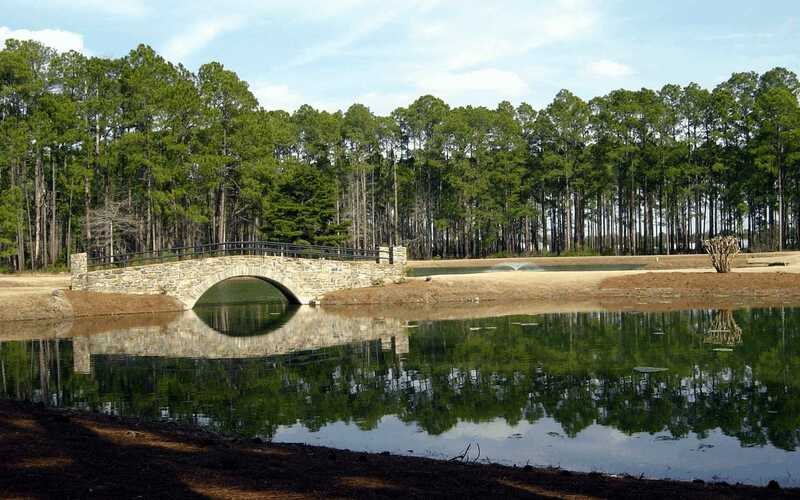 Little Ocmulgee has remained active throughout the years in providing these type services to its members. At one time or another the Co-op has been involved in installing insulation, electric heat, light for ballfields, electric brooding for chicken houses and many other end-use activities. It would be safe to say the Little Ocmulgee EMC has never considered its obligation to be over at the members' meter. Over the years the Co-op has continued to grow and add members. The first line was energized on April 7, 1939 with 125 families receiving electricity. Today the Co-op serves nearly 7500 members and maintains over 1500 miles of line. General Manager Don Holland has been employed by the Cooperative since 1973 and he respects the work done by the founders of the Cooperative. "I don't think any of the people who helped form and build Little Ocmulgee EMC dreamed that it would become what it has. We directly affect the lives of 7500 rural residents. We're not viewed as providing a luxury. Electricity is now considered to be a necessity," Holland stated. "When our work seems difficult we just need to think about those people who blazed the rail for us and all the problems they met and solved along the way," Holland added. "Hopefully we can follow the great example they set for us and continue to help Little Ocmulgee EMC grow and serve the needs of the members we work for," Holland said.